Loans are a good way to bridge gaps in your income, but the number of options available can be overwhelming and just plain confusing. Since the best loan is tailored to a borrower’s needs, having a basic understanding of the most common customizable loan types can help you make an educated decision. 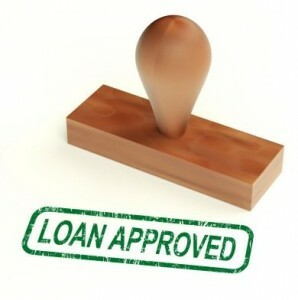 Below are a few of the loans that you should consider if you are shopping around for one. Title loans allow you to use your paid off car as collateral for a loan. The amount of the loan is usually up to half of the value of the car. Your income must be high enough to afford the payments, but title loans do not require a credit check. On the downside, in addition to a fairly high interest rate, the lender will take possession of the vehicle if you default. If you have funds in a savings account or certificate of deposit at your bank you can receive so loan against up to 95 percent of the value of these funds. The remaining five percent is used as collateral against possible default. These types of loans are often used to build good credit because they are usually for a small amount and are repaid within a year or so. Personal loans are unsecured, meaning they are not tied to property like mortgages, auto loans, and pawnshop loans. Personal loans are usually for amounts under $10,000 and have terms of two years or less. You must verify your employment and income and have a positive credit history to qualify for a personal loan. You may be able to use items such as jewelry, electronics, tools, musical instruments, and, in some states, firearms as collateral for a loan at a pawn shop. The pawnbroker, like those at www.alpharettajewelrypawning.com/, will determine the value of the item based one its condition and current demand and provide a loan up to that amount. In the case of default, the pawn shop will put the item up for sale based on a predetermined amount of time set up. Payday loans are a short-term form of credit designed to make ends meet in tight situations. They do not require a credit check, but this convenience comes with an interest rate that is typically higher than most other borrowing options. To receive a payday loan, you must have a bank account and agree to allow the lender to take the repayment funds out of your account via automatic draft. There are a number of options when it comes to loans, but the best option depends on your individual circumstances. Study the terms, interest and qualification requirements carefully before you put in a loan application. Personal Loan or Credit Card: Which is the Best Option for Short-Term Financing?